BrassCraft's Safety+PLUS2 gas connector combines patented excess flow technology and thermal heat activation with the advanced corrosion resistance, to provide a safer gas connector for your home and family. In the event of a gas line rupture or disconnect, the excess flow valve (EFV) restricts gas flow at the appliance to a non-hazardous level. This immediate action helps avert the potential for a dangerous release of gas into the home. Gas is controlled only at the point where the problem exists; the rest of your system will continue to function. Safety+PLUS EFV automatically resets once the gas line is properly repaired. The thermal component utilizes a thermal ring that will restrict the flow through the valve when the valve is exposed to temperatures of 4000F or more. This PowerAir Air Booster is a unique design that will work with square, rectangular and round metal duct work. It can be used with forced air, oil, gas and electric furnaces and heat pump. The most durable, long lasting air booster on the market. It installs easily into existing ductwork increasing air flow to the uncomfortable rooms. 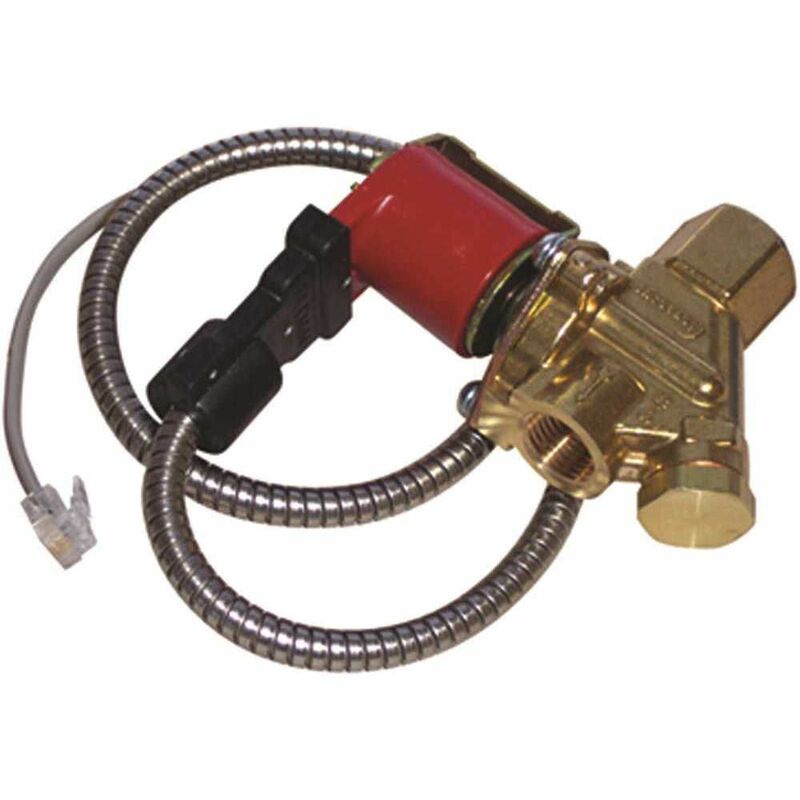 The SharkBite Washing Machine Outlet Box features an instant Push-to-Connect connection and can be used with copper, CPVC or PEX lines. Each fitting increases ease of use while decreasing the time and effort needed to connect water distribution pipe. There is no glue, soldering or crimping needed. Simply cut your pipe, deburr, mark the pipe approximately 1 in. (for proper insertion depth), install pipe to proper depth and you're done. The kit includes the Washing Machine Outlet Box, Hot & Cold 1/2 in. SharkBite Push-to-Connect x 3/4 in. MHT Valves, Faceplate Cover, 2 Support Brackets. Perfect for use in your Laundry room to provide a clean installation and allow for easy shut-off to protect your home when away and washing machine is not in use to guard against accidental leaks. This unique lead-free saddle valve comes with a compression end that is already assembled with a captive sleeve, which puts even pressure on the tubing, ensuring a tight seal. Ideal for gasoline, grease, oil, water. The solid brass construction ensures that you're choosing a superior product for your project.